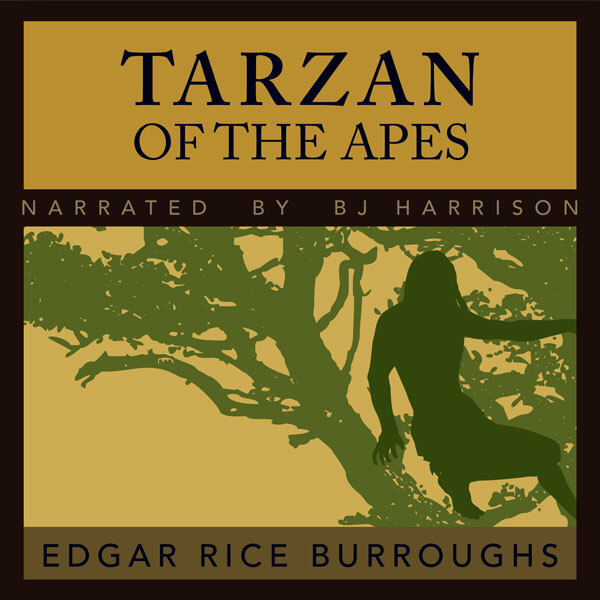 This novel was first published episodically in 1912, a year before Burroughs released "Tarzan of the Apes", which would catapult him to international fame. This novel helped to define an emerging genre: science fiction. 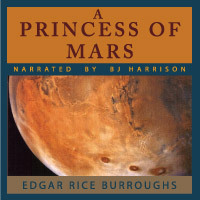 John Carter, Confederate Civil War veteran, is mysteriously transported to Mars, where he finds that the new environment gives him seemingly supernatural powers. We are introduced to several different alien cultures, and we follow Carter as he seeks to rescue the elusive Martian Princess, with whom he has fallen in love. It's a fantastic science fiction novel, and is sure to be a great gateway into the Classics for younger readers. From MaxAdams of pearland, Texas on 12/16/2017 . BJ Harrison is clear, has great voice characterization, and is smooth and easy to listen to. Great job! I look forward to hearing the next book he reads for. From David McCreery of Gentry, Arkansas on 8/30/2016 . I enjoyed the Return of Tarzan on the podcast, so I bought this for a road trip. I really enjoyed it. As usual, Mr. Harrisons collections of voices and accents made the story. I am not a huge scifi fan but this was a great story. From Christian David of Surrey, United Kingdom on 10/29/2015 . From BR Cook of Buffalo Grove, Illinois on 2/19/2015 . BJ Harrison does a stupendous job of bringing this fun John Carter story to life. 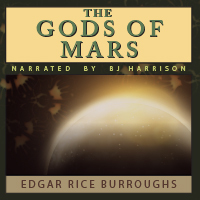 Edgar Rice Burroughs is a favorite, and listening to this SciFi story while I worked out made the time fly by. From Dan B of Onondaga, Michigan on 2/17/2015 . Just finished a cross country drive listening to this audiobook. I've read the book several times, but it stays continually fresh. 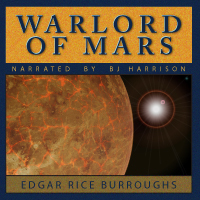 The audio version is flawless (with only two technical glitches--repeated sentences--in the entire reading) in B J Harrison's excellent reading, and the voices of John Carter, Tars Tarkas, Dejah Thoris, and all the other characters are intensely believable. Great read.